What is Limmud Chicago + MW? Limmud an independent, pan-denominational, all-volunteer organization dedicated to the creation of engaging opportunities to experience and celebrate Jewish learning and culture. ​Click here for more info about Limmud Chi + MW. Where and when are Limmud Chicago + MW? Limmud Chicago + MW will take place at JCC Perlstein Retreat Center at Camp Chi from November 15-18, 2019.
Who is Limmud Chicago + MW for? ​​Limmud is for Jews of all backgrounds, ages, and perspectives! While most of the program is geared towards adults, we will have great programming for kids in in the form of “Camp Limmud,” as well as babysitting at night. How can I apply to become a Limmud Chicago + MW presenter? At Limmud, everyone is a teacher and everyone is a learner. If you would like to apply to be a presenter at the conference or for our taste events, please contact us at limmudchi@gmail.com. How can I become a Limmud Chicago + MW volunteer? If you’d like to help us plan Limmud (and we hope you will! ), please contact us at limmudchi@gmail.com. I keep kosher. 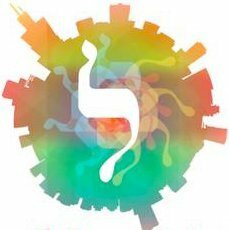 Is Limmud Chicago + MW for me? Yes! All Limmud Chicago + MW events with food will meet CRC standards. I do/do not keep Shabbat. Is Limmud Chicago for me? Yes! Limmud Chicago + MW is a space for everyone on their Jewish journey. We are respectful of all practices and will have multiple prayer and non-prayer options throughout the weekend to make sure a wide variety of halachic and spiritual needs are met. In addition, during Limmud, we seek to create a Shabbat atmosphere by asking participants to refrain from using cell phones, electronics, cars, cameras, and musical instruments in public spaces during Shabbat. Yes! Limmud Chicago + MW will have Camp Limmud during the day as well as some babysitting options at night.